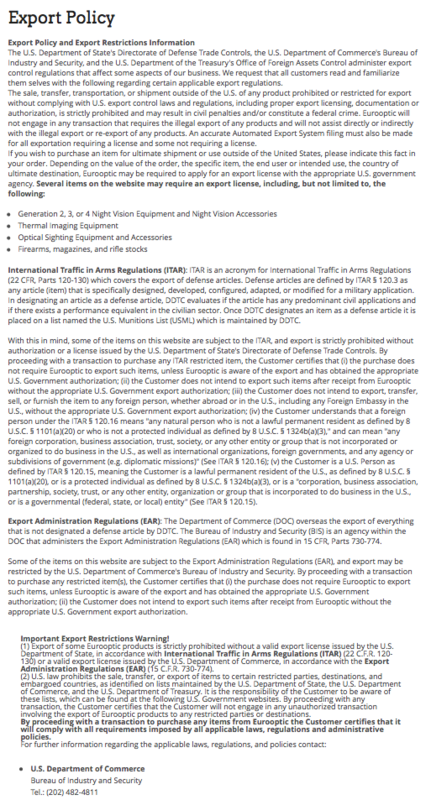 Basically if you are a USA Citizen in good standing you can legally buy and own this equipment.. but if you want to take it out of USA there is a lot of paperwork involved. WE DO NOT SHIP OUT OF USA !! !